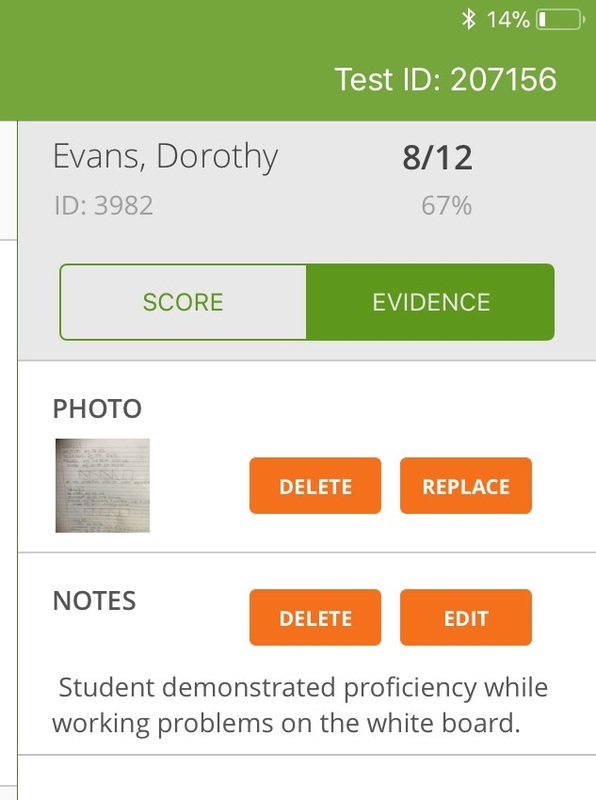 The evidence capture feature allows you to add a note or upload an image for each student in an assessment. You can use it to capture evidence of learning as it happens in the classroom, outdoors, or elsewhere; show student's work on math problems, diagrams scrawled on the white board, or projects such as visual arts. 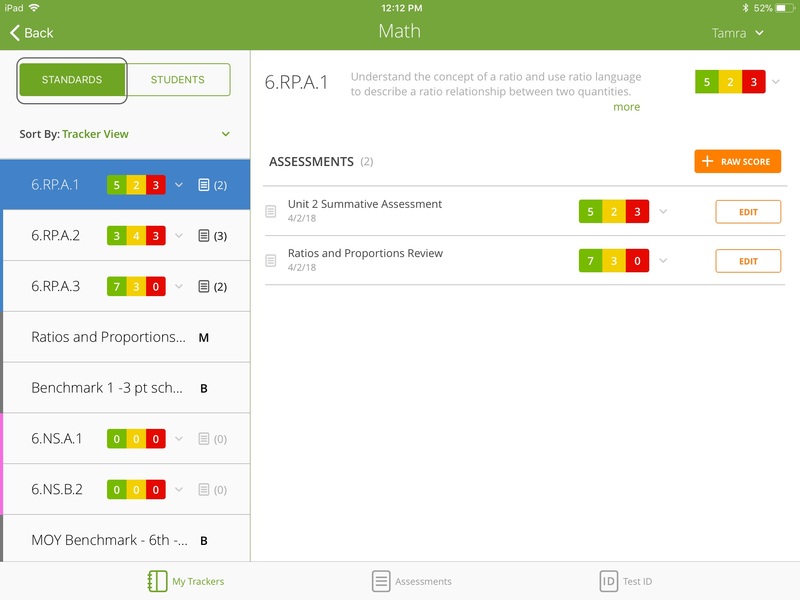 You may also want to capture evidence to show justification and provide context when changing a score in your tracker. Evidence can be added to all assessments, whether they have been scored or not. Note: Although notes and images can only be added through the MasteryConnect Teacher app, they can be viewed and downloaded from your tracker on any platform. 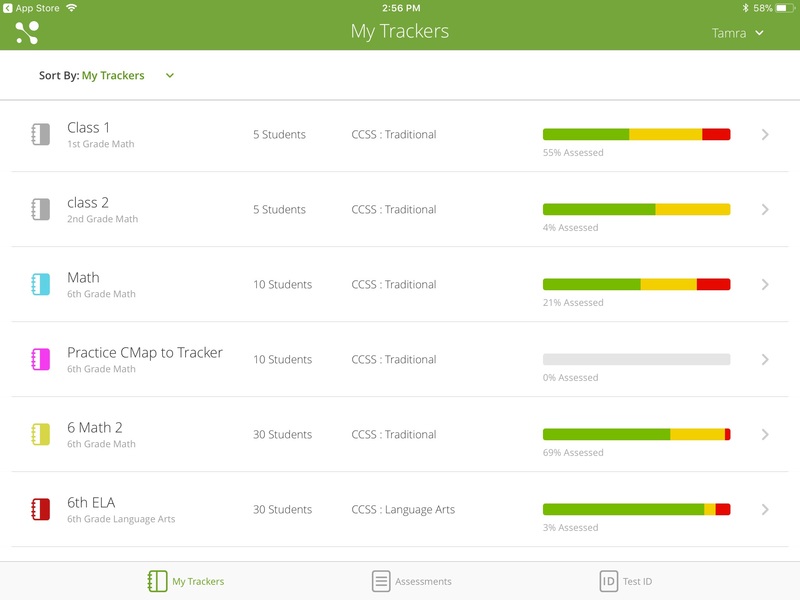 In the Teacher app, tap the Trackers icon, and then select your tracker from the list. On the left side, find the the standard for which you want to capture evidence of learning objectives and tap it. On the right, tap the assessment. Next, select the student for whose assessment you want to capture evidence. 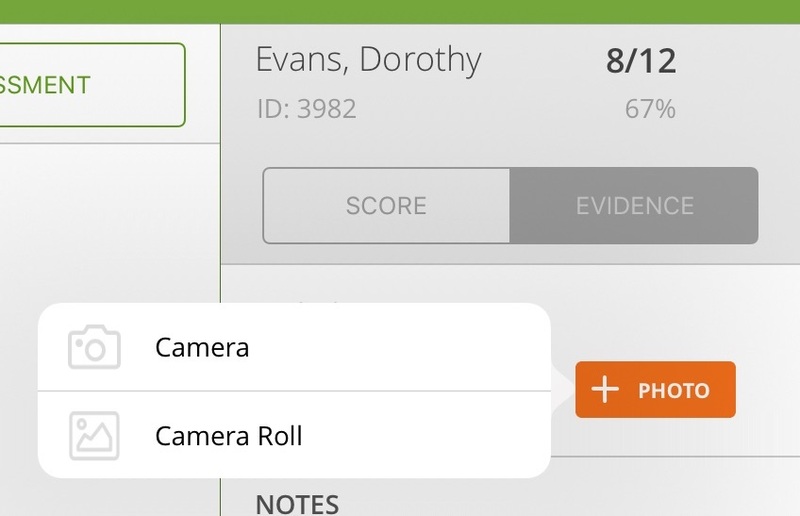 Tap Evidence and then select whether you want to add a Photo or Notes (you can add both). If you are adding a photo, choose whether to upload one from your camera roll, or use your camera to take one. If you choose the Camera option, the photo will not be stored in your phone's photo library. If you are adding notes, type your note and then tap Save & Close. 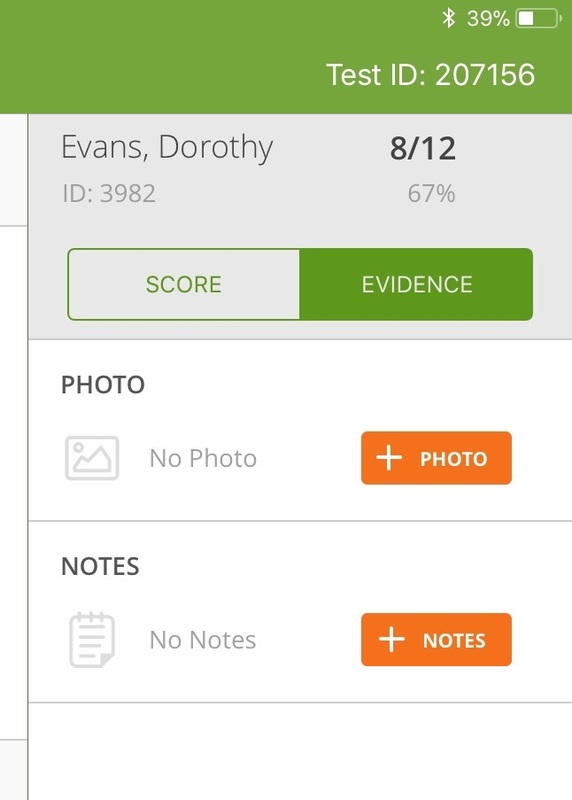 Evidence can now be viewed in Teacher app or in your MasteryConnect tracker.